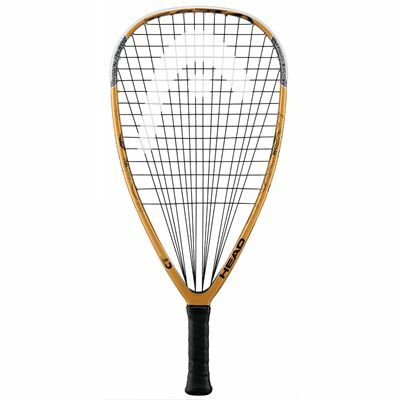 The Head Dirty Deed racketball racket has been manufactured with the use of MicroGel technology that is a silicone based material mixed with carbon fibres. It makes the racket much more responsive and provides a solid feel. Corrugated Technology enhances stiffness by up to 12% in comparison with that offered by conventional racket shafts. Thanks to it, the player can enjoy greater power and more explosive shots. The racket weighs 185 g (6.5oz), has head heavy balance and a head size of 106 in2 (684cm2). The string pattern is 16 x 16.
for submitting product review about Head Dirty Deed Racketball Racket.